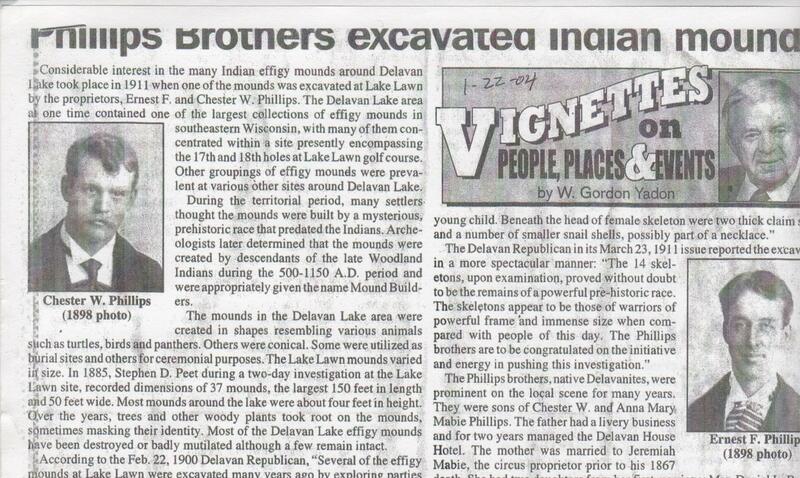 "MADISON, Wis., May 3.—The discovery of several skeletons of human beings while excavating a mound at Lake Delavan indicates that a heretofore unknown race of men once inhabited Southern Wisconsin. Information of the discovery was brought to Madison to-day by Maurice Morrissey, of Delavan, who came here to attend a meeting of the Republican State Central committee. Curator Charles E. Brown of the State Historical Museum will investigate the discoveries within a few days."